Bouchercon was a blast, as it always is (seriously, it would be a shocker if it weren’t). It was filled with amazing moments, but my biggest surprise of the weekend was that I won the Anthony Award for Best Short Story for “My Side of the Matter” (!!!) 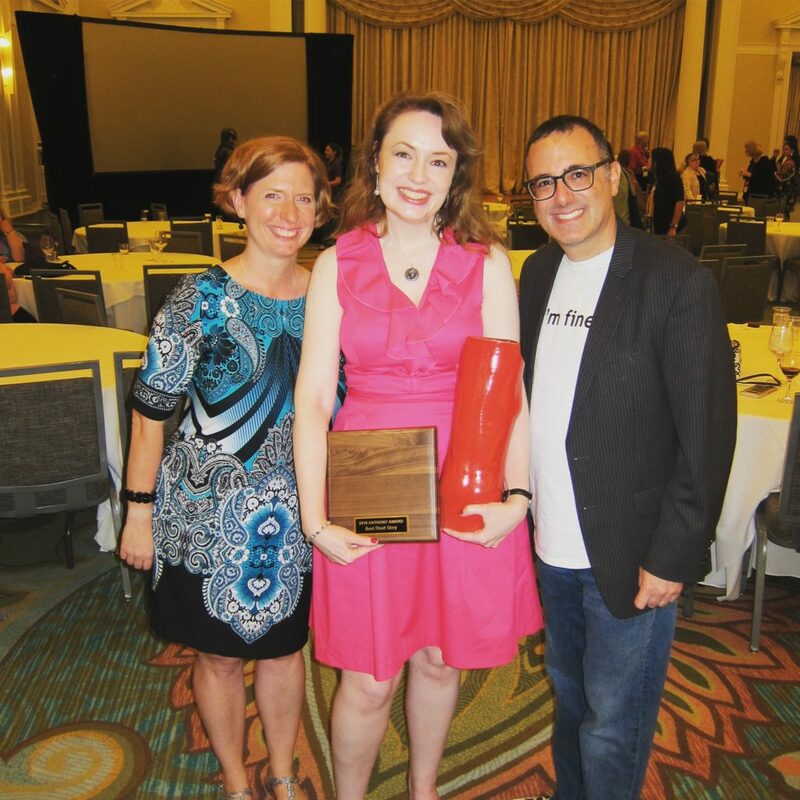 I’m pictured above with Kate and Dan Malmon, editors of the exceptional KILLING MALMON anthology—get it now if you haven’t already!—and my very beautiful (also very heavy) award. It was such an honor to win, especially because all of the finalists is my category were brilliant. Thank you! This entry was posted on Tuesday, September 11th, 2018 at 1:59 pm. You can follow any responses to this entry through the RSS 2.0 feed. You can leave a response, or trackback from your own site.